Another old video from 2012 i think. 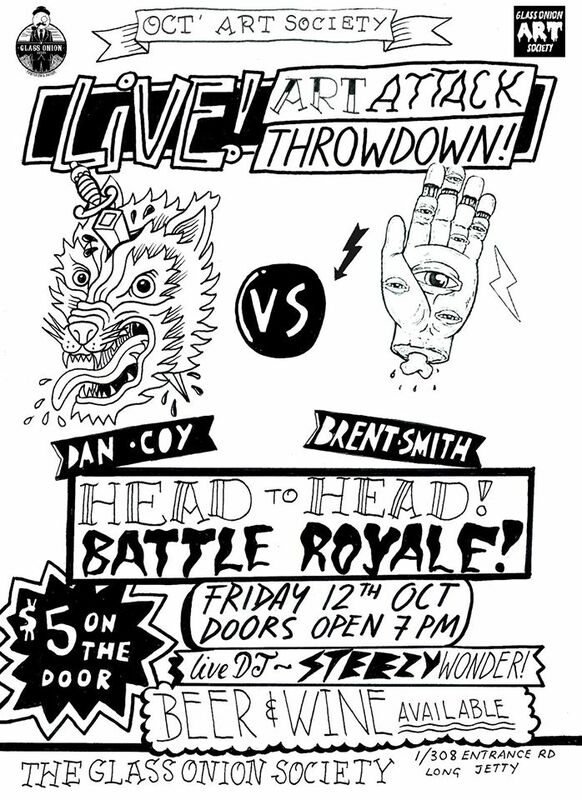 Back when art battles were all the rage, i took part in this ‘battle’ against a local artist D. Coy it was a fun night. I just pipped Coy with the crowd vote right at the very end which was nice considering i only had a handful of friends attend. Hosted by the amazing people at the Glass Onion Society in the ever evolving suburb of Long Jetty NSW. The Glass Onion Art Attack Throw Down – Brent Smith Vs Dan Coy from Chad Waldron on Vimeo.